It’s all going on right now! Writtenwithasmile has been busy as ever, developing some great new books for your enjoyment. Make yourself at home as we share our latest news, blogs and releases with you. 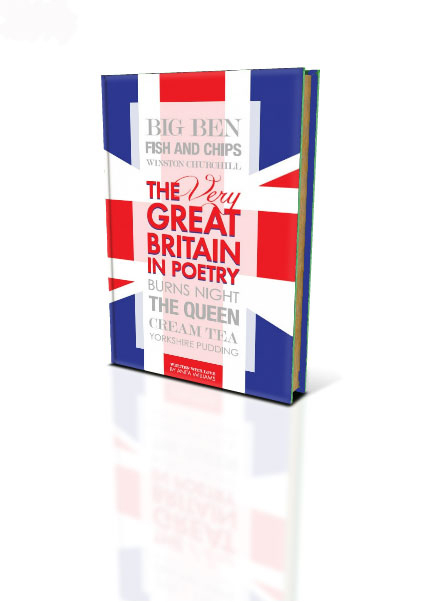 We are delighted to tell you that the new collection entitled: ‘The Very Great Britain in Poetry’ is almost ready for publishing! Anita has been busy editing and revisiting content for this latest cherished collection. Adding final tweaks is always the best bit! To celebrate the upcoming launch you’ll notice we have added the Union Jack livery to our web backdrop. Read all about Black Cab banter through London with all its highlights, Yorkshire pudding, the Oxford and Cambridge Boat race, The Changing of the Guard at Buckingham Palace, Welsh Hills, Burns Night… it’s all here in flowing rhyme and song.Packed full of rhyme and verse saluting some of the most wonderful landmarks, people and traditions of all things British, The Very Great Britain in Poetry is a great keepsake or souvenir and we would love to hear what you think of it. Register your interest now by adding your email to our subscribers list. Keep watching… Our author Anita Williams is also currently very busy adding the finishing touches to her latest Children’s books! Mid 2015 Anita launched a collection of poetry for the wonderful Severn Hospice. a wonderful charity close to her home and heart. The book is entitled ‘Severn Thoughts’ (see what we did there) and is now on sale! Don’t forget that our other charity fundraising book is also available in paperback and Kindle! ‘Poetry Giving‘ will assist with raising much needed funds for the fantastic Midlands Air Ambulance Charity. Yes… our book shop is definitely growing! 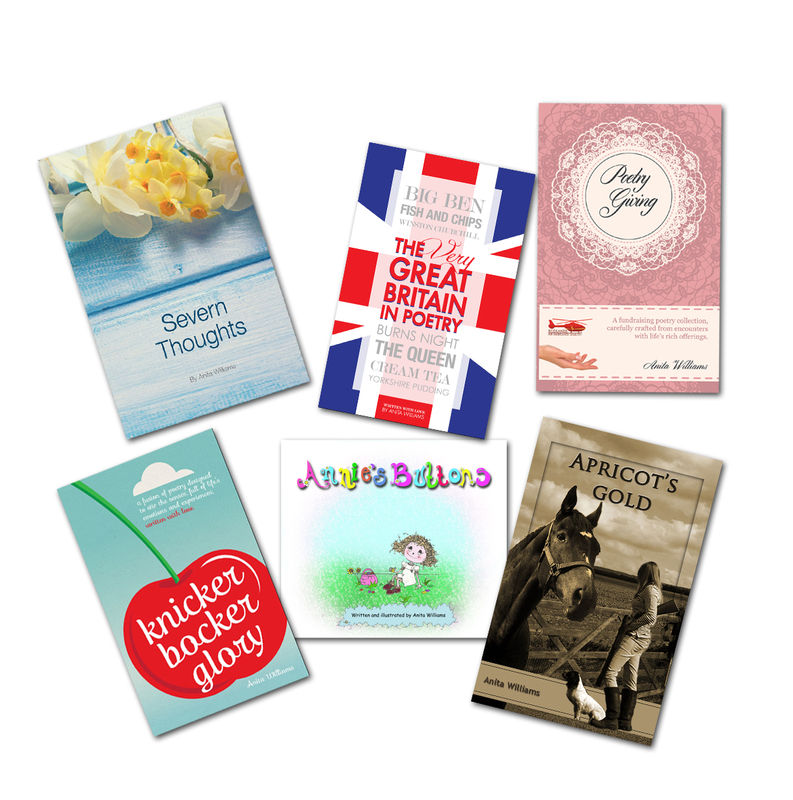 Visit Anita’s author page to discover more about the range of other books currently available. Whether you want to chill out and relax with a new release or simply browse through the various previews available on this site, you are very welcome. 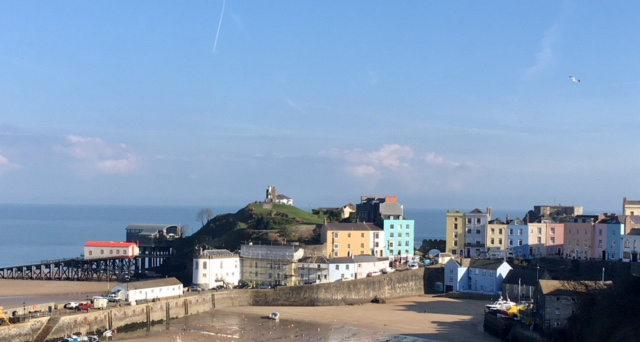 Spot the audio poem selection available to listen to right now and don’t forget to keep checking our ‘Blog Spot’ which is regularly updated with new material. You can also find out about latest news by clicking through the various interesting tabs right here on our web site. There are places which invite you to comment, and we are most grateful to those who take the time to add their thoughts on our work. We promise that we really do read all feedback. Feel free to subscribe to our newsletter which will automatically add you to our mailing list, it’s free and keeps you bang up to date with what’s going on. Enjoy browsing through the tabs, and thank you for visiting.